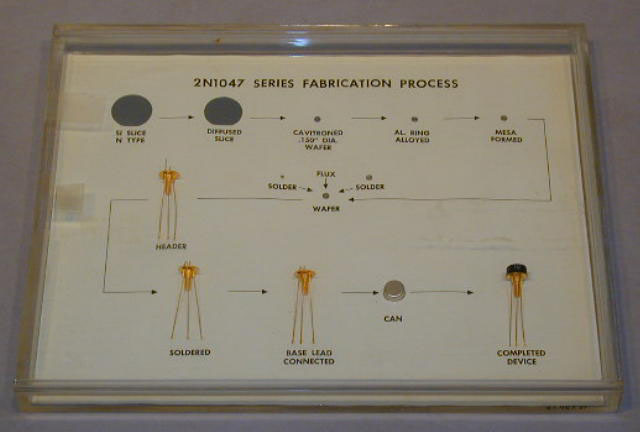 Shows process steps involved in the fabrication of the 2N1047 series of diffused mesa silicon power transistors. The 2N1047 was introduced in early 1958. Item was part of original S/B Lobby display. Related material in collection: G00273.